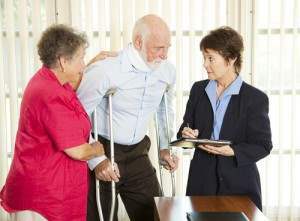 Are you looking for Personal Injury Lawyers in Bergen County, NJ? 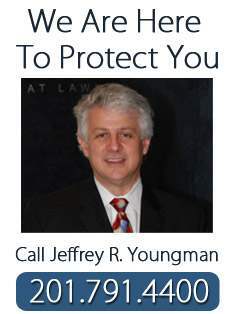 Feitlin, Youngman, Karas & Gerson have been Personal Injury Lawyers in Bergen County, NJ for more than three decades. You never know what the day is going to bring. We all hope for the best and if we are lucky, we have positive experiences that enrich our lives. Yet, unfortunately, sometimes, in an instant, our lives end up being altered dramatically for the worse. You may simply be walking down the street and suddenly stumble over an improperly maintained sidewalk. Or you may be properly using a hand tool or household appliance that suddenly proves to be defective in the way it was manufactured or designed. In either case, due to the negligence of another party, you end up sustaining a serious or maybe even a catastrophic injury. One moment you are fine, and the next moment, your entire life is altered. These sudden accidents can affect your work and family life, and prevent you from being the same person you were only a moment before, in ways you never thought possible. That’s why personal injury law remains such an important source of protection for all of us. The courts and the law are there to provide you with financial recovery if your accidental injury results from another person’s negligence or a defective product you used. If you have sustained a serious personal injury that you believe may have been caused by someone’s negligence or a defective product, call us today for a free consultation. If a third party’s negligence is at fault for your injuries, we will fight relentlessly for you to receive justice and a financial recovery. That is the core of our legal practice. We will fight for your financial recovery so that you can concentrate on your physical recovery.